A close and legenadary Film Director friend of mine once inspired me to think about the difference between movies and films: a movie is often for popping pop-corn, action, explosions, the BIG SCREEN; whereas a film can be all of those things but still be in a league of its own as an artistic creation rather than just as a mode of entertainment. One of my favourite films of all time is The Prince of Egypt produced by DreamWorks. I remember watching it for the first time in 1999 in Europe’s oldest purpose-built cinema in Paignton and being moved to tears by the sense of God’s presence and biblical accuracy that the film carries. The burning bush scene and the splitting of the Red Sea gets me every single time! 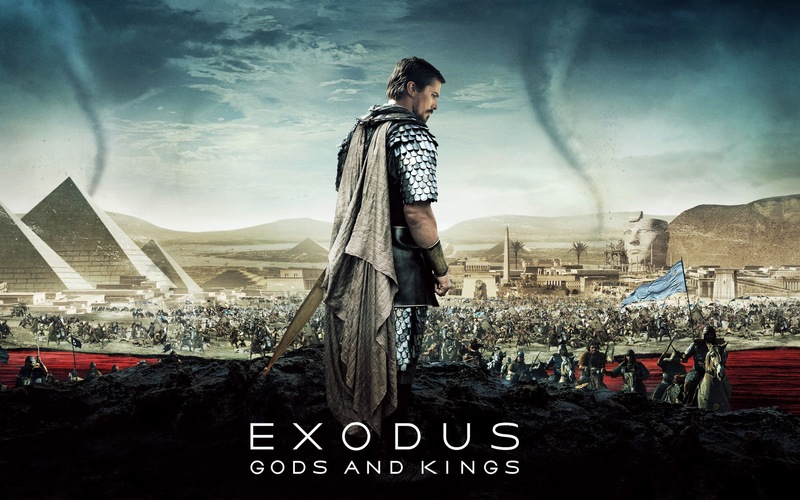 It’s a little odd then that it has taken me until now to watch Ridley Scott’s Exodus: Gods and Kings. I think one of the reasons why I hadn’t gone to the cinema for it or watched it before now at home is because my expectations (via rumour and hearsay) were so low. After all, I had turned off Darren Aronofsky’s portrayal of Noah before the titles of the movie had finished rolling. Scott’s film was different, though; it was one of the most mesmerising and provoking films I’ve seen in a long time – probably years. The stunning visual experience (blu-ray is a must) of being transported into the ancient Egyptian world is, alone, worth buying the film for. However accurate the historicity is of the film, or not, is irrelevant because, even with creative license, it still gives you a glimpse of what it must have looked and sounded like in the time of Moses, way beyond the animated marvel of The Prince of Egypt. However, where DreamWorks was sweetness all of the way, the producers of this film left me with an irritating and even disappointing bitter-sweetness to deal with as the credits did their thing. Very powerful scene leading up to the Passover and a one-liner from Moses about the Lamb and eternity. The culmination of the plagues with the death of Ramesses’ child was raw, graphic and superbly done as Moses eventually is released with the Israelites. The end scene on the beach when Moses reassured Aaron that he was on his own (not with God in prayer). The film didn’t capture the intimacy of the actual relationship between Moses and Yahweh that shines from the pages of the Bible. The portrayal of Yahweh as a child was a strange choice from Ridley Scott. I’m not sure what he was hoping to achieve with this mammoth choice – perhaps a portrayal of God as a spoilt child obsessed only with his own glory (Exodus 14:4). This is where Scott has fallen short the most – i.e. a misunderstanding of the Glory of God. This choice was comical more than anything else and ultimately really only reminiscent of The Golden Child with Eddie Murphy. There was no ‘holy moment’ where Moses’ sandals needed to be removed representing his awe and worshipful submission to God, despite his own anger and confusion. There was no worship or praise, period, including Miriam and her tambourine and the praise and celebration of God’s faithfulness from His covenant people. A humanistic fog hanging over God’s majestic power in the weather, especially at the end. Scott seemed to want to make a point about Moses’ staff – i.e. there wasn’t one and instead focused on a ‘power motif’ of the replacement of his Egyptian sword. This isn’t incidental; Moses’ staff was inextricably linked with the voice of God and the miracles of sign and wonder, including the dividing of the Red Sea and the metamorphosis of the staff into (and from) serpents. The burning bush scene was oddly abstract and admittedly artistic, but in a hollow way that didn’t convey God’s presence or even a truthful account of the conversation between God and Moses. 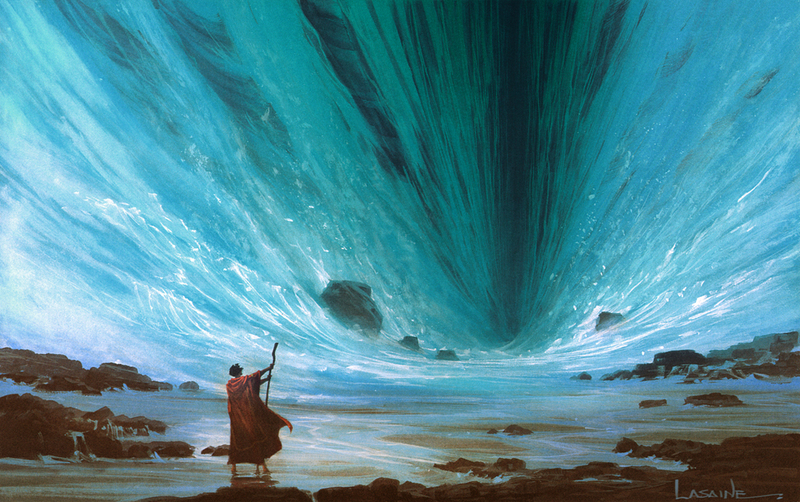 The epic finale of the Red Sea was the biggest (bitter) let down: the Tsunami at the end, a bizarre comet (presumably that had caused the wave) was so far removed from the biblical text it was laughable. Omitting the dividing of the two walls of water at the command of God and Moses’ staff, was an artistic attempt to ‘humanise’ the creative, sovereign power of God and was, frankly, a joke. Ultimately, this bitter-sweet cinematic cocktail is to do with biblical literacy: Scott wasn’t a truth-teller in this film, and he could have been, even if he hadn’t believed personally. He produced a clever film – provoking in the beauty and scope of its reach and stirring of our emotions, but it simply failed to be true enough to the bible for it to be respected, especially in the last 45 minutes after the children of Israel were released. I can’t see this as anything other than a deliberate choice by the director. It is for this reason that I’d classify Exodus: Gods and Kings as a movie rather than as a film and point to where DreamWorks successfully made a film, though it was animated. But I’ll still buy the blu-ray to be transported back again to the time of Moses…just not the pages of the Bible.